First published to accompany the exhibition From Omega to Charleston: The Art of Vanessa Bell and Duncan Grant, 1910-1934, this fully illustrated publication explores the life and works of two of the most innovative and influential British artists of the twentieth century. 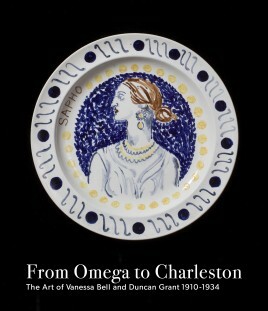 First published to accompany the exhibition From Omega to Charleston: The Art of Vanessa Bell and Duncan Grant, 1910-1934, this fully illustrated publication explores the life and works of two of the most innovative and influential British artists of the twentieth century. With a substantial essay and catalogue entries by Richard Shone (author of Bloomsbury Portraits, 1993 and curator of The Art of Bloomsbury, Tate, 1999), the catalogue explores the unique creative relationship shared by Bell (1879-1961) and Grant (1885-1978). It traces their move from the early years flush with post-impressionist experimentation to their later work at Charleston, their shared Sussex home. Whether working in fine painting or decorative schemes, together they emerge as consistently radical practitioners at the very heart of their cultural milieu. Drawing from private collections and a substantial group of works from The Charleston Trust, the second half of the publication focusses exclusively on one of Bell and Grant’s most spectacular joint commissions: The Famous Women Dinner Service. Begun in 1932 at the request of the art historian and director of the National Gallery Kenneth Clark and his wife Jane, its fifty plates were decorated with images of famous women through the ages, from Sappho to Greta Garbo. Considered lost for nearly forty years, and first publically exhibited at this exhibition, this set of plates forms an impressive testament to Bell and Grant’s close working partnership. 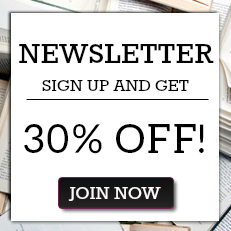 A significant essay by Hana leaper (Charleston scholar, Fellow of the Paul Mellon Centre, and Senior Lecturer, Liverpool John Moores University) is succeeded by closer scholarship dedicated to the individual plates and the women that inspired them. The catalogue also has introductions from both Frances Spalding (Biographer of Bell and Grant) and Darren Clarke (Rausing Head of Collections, Research and Exhibitions at the Charleston Trust).